Bikes have been around for over a hundred years. But as the world changed, they didn't. The Volata Bike looks to bring this efficient transport up to speed. It has a 2.4-inch, app-based computer built into the handlebar, giving you access to performance metrics, weather, directions, heart rate, and notifications, while also powering the electric horn, automated lights, and GPS and motion-sensing anti-theft systems. A front-hub dynamo automatically charges the battery, and the electronic-shifting Shimano belt drive transmission keeps maintenance to a minimum. It looks like something out of Tron, but while the light bikes won't be hitting the road anytime soon, the Cyclotron Bike will. The result of three years of development and testing, this high-tech bike combines a novel design with electronic convenience. It starts with a carbon fiber monocoque body, sitting on spokeless wheels. The wheels use the extra space for add-ons like baskets, and also feature integrated lighting, powered by a hidden battery pack that charges as you pedal. It also has fully integrated brakes, solid polymer, airless tires, and an electronic gearbox, and connects to a companion app to give you battery status and real-time cycling data. Most yachts are focused on brining you countless amenities on the inside. The 108M Mega Yacht is instead designed to bring the focus back outdoors. The design is based on a standard 108 meter mono hull, but has large openings on either side that connect the interior with nature. There's also an elevated dining and viewing area, a garden next to the 20 meter lap pool, a space at the stern that allows the ocean water to gently splash aboard, making water entry seamless, and 300 square meters of solar panels linked to lithium ion batteries that allow for slow-speed cruising without the need to gas. Your truck can get you pretty much anywhere you want to go. Yet most trailers can barely handle a bumpy yard. The Bruder EXP-6 Off-Road Trailer is not most trailers. Built from the ground-up for off-road use, it has a four corner independent air suspension system that gives it twice the adjustability and wheel travel of competing caravans. While the exterior is rugged, the interior is refined, with a simple design that incorporates plenty of storage, a TV that swivels for outdoor viewing, a queen-sized bed, and plenty of windows. And when it's time for dinner, there's an outdoor kitchen that gives you far more room than you're going to have in a normal RV. It's time to get out on the water. And these Protector Boats provide an option that is equipped to handle rough water more comfortably than hard-sided boats. Originally engineered for the New Zealand Coast Guard, each inflatable powerboat features a solid laminate, fiberglass hull with chambered hypalon tubes for shock absorption and stability. The result is a high performance, hard bottom, inflatable powerboat that is available in three different models and is certain to be the talk of your local marina this summer. Inspired by the design of sports cars, the Riva Rivamare Speedboat carries the tradition of Italian speed to the water. Measuring 39 feet long and 11.6 feet at its widest, it's powered by a pair of 400 hp Volvo Penta D6 400 engines, capable of propelling the craft to a cruising speed of 31 knots and a top speed of 40 knots. On the mahogany panelled deck, you'll find an intuitive control system with joystick and docking mode functions that make navigating narrow passages a breeze, as well as a rear hatch with mahogany steps that extend to form a faux "beach" area with water access. Meanwhile, the downstairs is as luxurious as up, with a kitchen, bathroom with glass shower, and living area that converts into a double bed for sleeping. Designed in New York City and built in Taiwan from steel alloy and aluminum, the Martone Mia Bike is a simple, good-looking way to get around town. 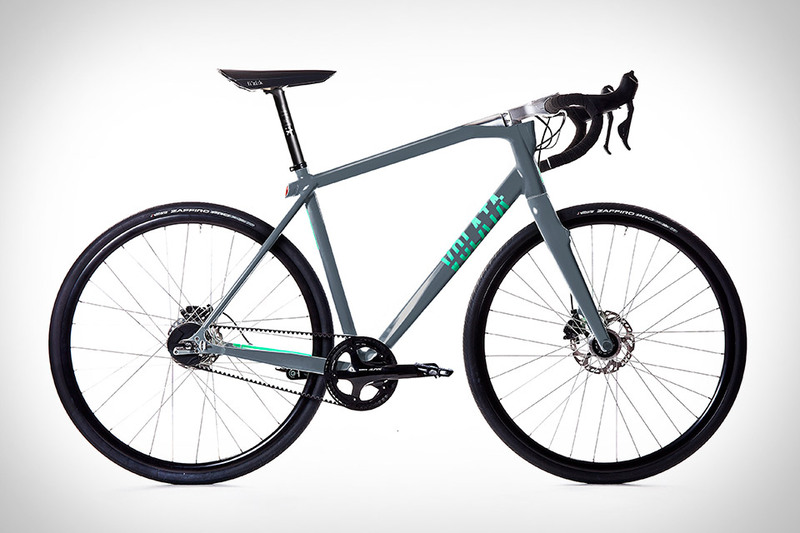 It uses the same SRAM Automatix two-gear transmission and coaster break as the company's flagship model, yet is both smaller and lighter — as little as 11 lbs, in face. The 20" wheels are home to cushy tires that provide a smooth, stable ride, and the handlebars can be optionally outfitted with a smaller basket for hauling small goods. Available with red, black, white, or brown details on a white frame, all with a signature red chain.